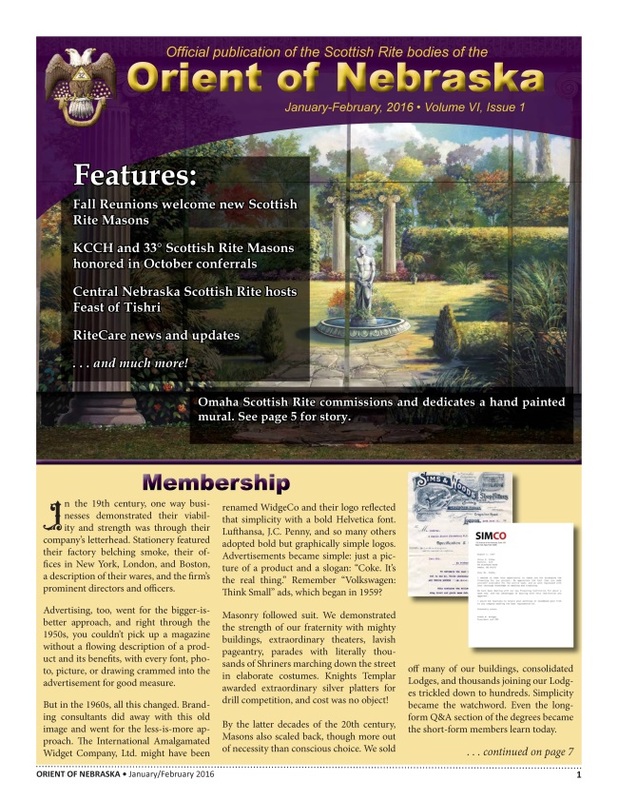 The Orient of Nebraska Scottish Rite produces a newsletter six times a year, sent as an insert within The Scottish Rite Journal which is produced by the Scottish Rite Supreme Council. 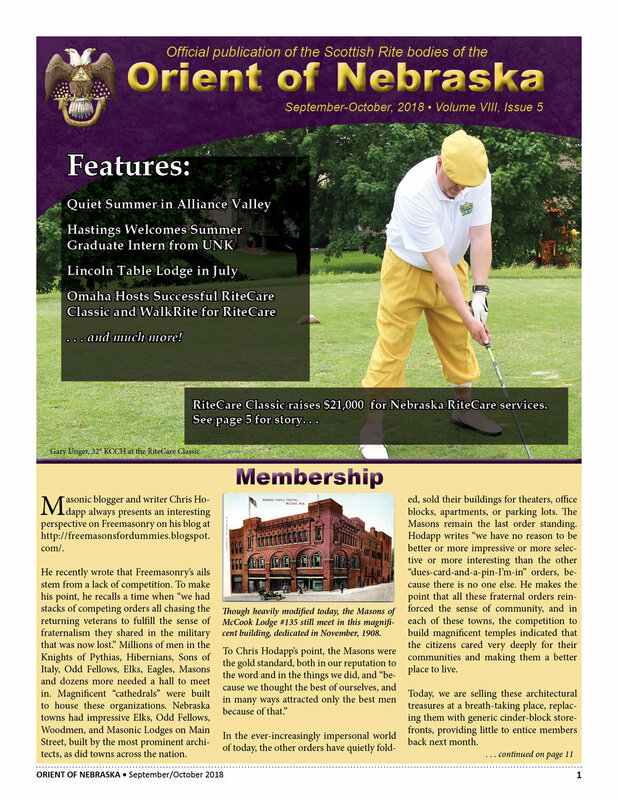 The Orient of Nebraska insert is sent to all current members of the Alliance, Hastings, Lincoln, and Omaha Valleys. 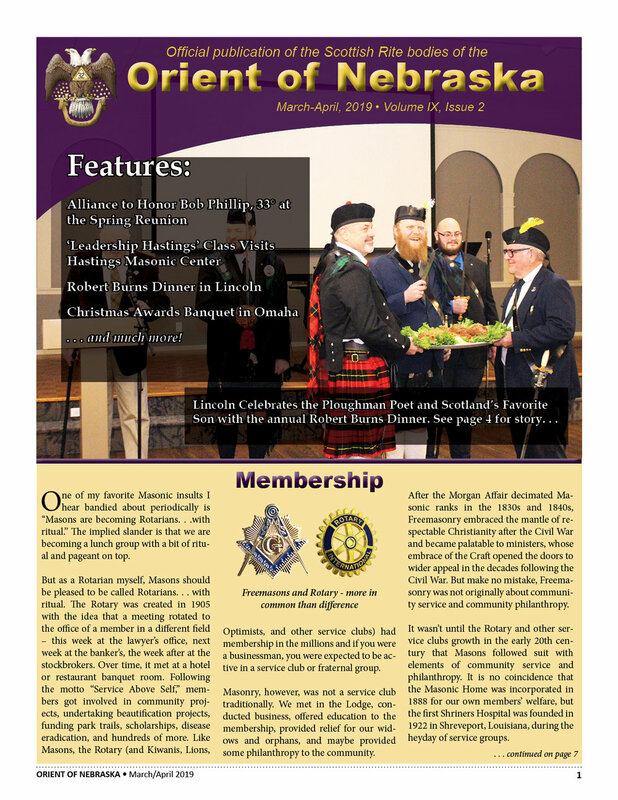 So grab a cup of coffee, sit back to read about Scottish Rite activities, events, members, and Masonic articles across the state. You can open any file to read online or print. Take time to enjoy yourself. . .
Submissions are always welcome. Please e-mail stories about members or events to micah@SRNE.org, allowing at least 45 days prior to the odd-numbered month in which the Journal is sent to members. (Stories should be received no later than mid-March for inclusion in the May-June, 2019 Journal.) Whenever possible, please include high-resolution pictures and the author's e-mail or contact information.